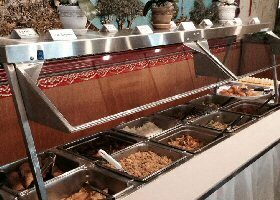 Restaurant and bar serving both Chinese and American cuisine. Daily lunch specials are served from 11 a.m. to 3 p.m., and a full dinner menu is offered each day from 11 a.m. to 8:30 p.m. We also deliver. Patio dining.